The MX103-P Mixing Station allows for the use of chemical concentrates in any size container. The clean and efficient, non-drip spouts provide the safe way to fill bottles without the mess of flexible tubing. 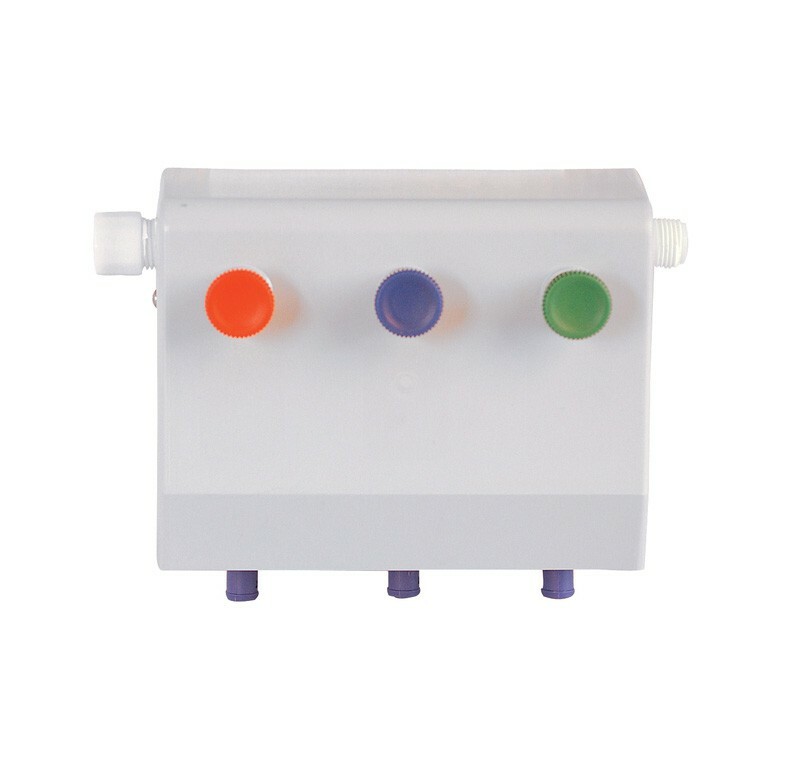 The station features a stainless steel chassis with a durable plastic cover, unique field changeable Venturi for 1 to 4 GPM flow rate, colour coded lock-down valve buttons, Aire-Gap or Flex-Gap backflow preventers, a complete accessory kit with 3/8" O.D. vinyl chemical suction line, umbrella type Viton foot valve strainer, 3/4" O.D. vinyl discharge line, and a colour coded, threaded metering tip kit. 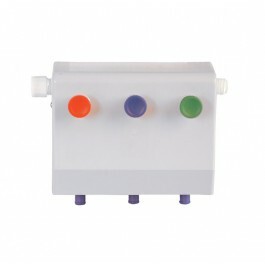 Allows up to three products to be dispensed at any one time. Modern, easy to use design. Full range of replacement spares and parts available.